The Roadmaster Hi-Low Hitch offers a solution for leveling your RV hitch with the tow bar on your towed vehicle. 6,000 lb. capacity and 100 lb tongue wt. 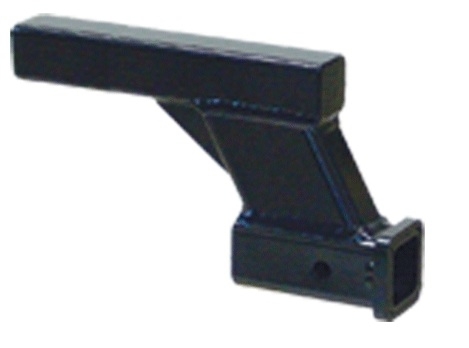 Offers a 6" drop from the motorhome hitch opening. Fits any 2" hitch receiver. Not intended for towing a trailer.